St Paul’s aims to provide opportunities to develop and cultivate leadership qualities within all students. We aim to instil in students, a strong sense of social justice through the service of others. The school councillors perform a number of ceremonial roles on special occasions. 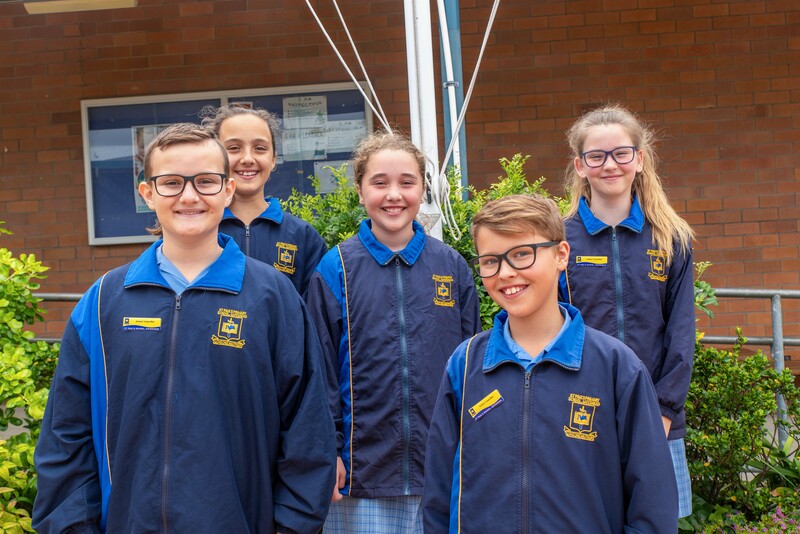 They raise the flag each morning, run Friday morning assemblies and represent the school at special ceremonies such as Catholic Schools Week mass, ANZAC Day and Diocesan Mission Week Mass. They meet and liaise often with the Year 6 teachers and principal. The leaders are responsible for setting a good example of being responsible, respectful and safe at all times. House Captains have responsibility for the care of sports equipment and maintaining house enthusiasm in sporting activities.